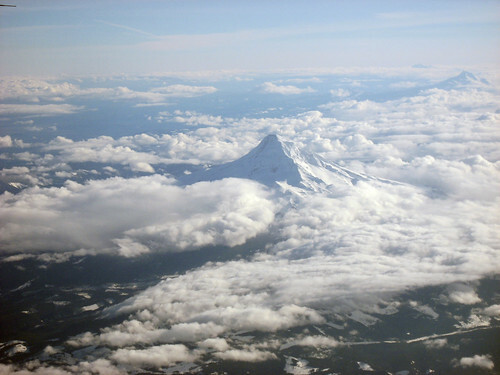 Ohhh very pretty! I got a book on tatting and was so excited...turns out it has pattern-type instructions, but no actual "instruction" or how to :( Gotta get another book! Look at you go :) Those are some nice pieces! Sorry I missed you. Come back soon! Funny you should ask how to join a new thread. I was a little obsessive and always overloaded my shuttle. Your first project looks lovely. How are the finger callouses developing? I think the only project that I had to join a new thread was my garter. I typically would of course never do it in the middle of a circle. It typically was done on the chain thread section. I would just wind on a new shuttle and go from there. Typically you don't need to hide the ends. If you do your knots tight enough, you will be able to just cut them short when the pattern is done. Of my books, Tatting with Visual Patterns has the clearest examples and explanations. It has 4 different ways to conceal or join a new thread. 1) overlap a thread from ball or shuttle (best hint is that you do fewer knots to compensate for the thickness of holding the thread double for 3-4 stitches) 2) concealing the ends of a knot (this states that if the ends are short to using a sewing needle or crochet hook to pull the thread end through each half stitch you make until it has been tighted by 3-4 stitches) 3) using a weaver's knot to help conceal broken ends. 4) renewing a ball thread only by not tying a new knot and just running it doubled through a bit of the previous ring and then under the new chain stitches. Another of my books has extremely detailed examples and explanations about how to conceal your ends and have a professional finish. I will be in Portland to run errands on Thursday the 6th of March. I could meet with you to let you borrow my books. Just let me know. I'm another one who overloads the shuttle. Most of the joining I have to do is because the thread snapped from wear while I was working it. Wah... so pretty! Mum said it looks like a tiara! Where might one find tatting kit? I cannot be hooked on anything else - you must stop! I have been obsessively cross stitching that wonderful Norwegian-looking snowflake (if you remember it) from one of the Japanese craft books we bought in Portland. I have even invested in linen (though I'm still practicing on Aida cloth). You are evil! However, I have found some wonderful Japanese crochet and knitting books - stitch and motif dictionaries - so I will exact my revenge soon enough! I stumbled across your site. Oh what memories tatting bring back to me of a lovely lady that was our neighbor as a child. She was from back East and she was very crafty...tatting was a wonderful thing she did that I was fascinated with. I would love to learn. Beautiful things you are making. Oh! A new tatter! I have been tatting since 1990 and each day I'm more in love with it. 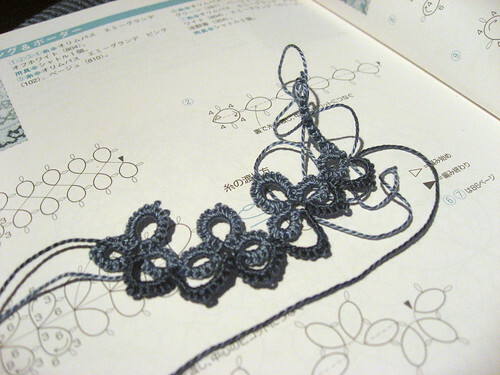 I also love Japanese Tatting books and have quiet a few. If you stumble on Ms. Fujito's books I recommend them. 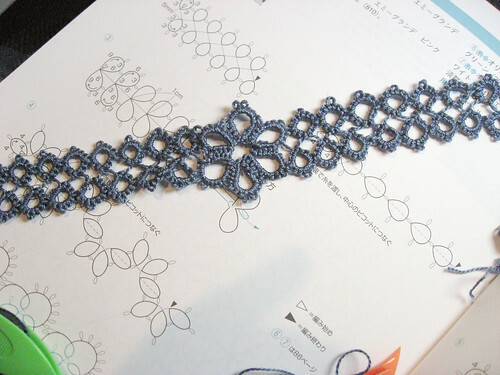 Lacis publish a collection, in English, of some of Fujito's patterns and also have very clear instructions to join a 2nd thread, to make split rings and chains, using a 3rd shuttle, etc. May be a little expensive but worth every penny! Bob T. mentioned E-Tatters. I have been a member of it for a long time and it sure help. Now some people are making videos and posting them on You Tube and that's also great for beginners. Wally's site has lots of good things (comment before me). There are many ways to add a new thread and hide your ends as you go. I would not recommend knotting and then cutting the ends close. At least, not on anything you want to keep for posterity. Some people dab glue on the ends but it does discolor over time and it does leave a bump. The best place to add a new thread is at the end of a ring before you go to the next element. Leave 4-5 inches of your old thread (you'll trim later) and make a weaver's knot (Jane's site: http://www.e.n.e.btinternet.co.uk/WeaversKnot.htm - the loop with the new thread (red) and insert the tail (blue) of the old thread. Tighten new thread right up against the last ring and you'll feel a "pop" meaning it is secure. As you tat the next element, weave one of the tails into the tatting as you go. The other tail should be woven into the prior ring or chain with a crochet hook or you can sew it in. You'll find a way that works best for you. You only have to weave in for 3-4 stitches and then trim the excess off. It's best to wait until you close the ring before trimming - in case you have to open the ring to correct something else. There are other ways to add a new thread without a knot, but this is the easiest for now as a beginner. That's really pretty--I'm impressed. Now I realize that the little handkerchief I received on my 21st birthday (from a relative in England) is edged in tatting. I always just considered it "lace". I'm really facinated with your work. Thanks for sharing. Nothing like a new obsession. 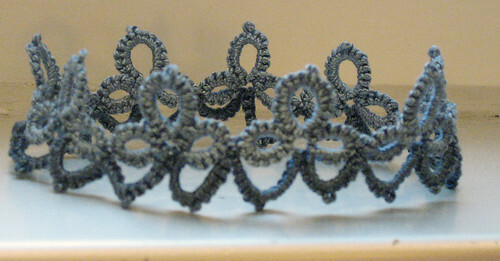 The tatting looks great - now I'm fascinated too. This page contains a single entry by Marnie published on February 26, 2008 12:11 PM. Inspir(al)ed was the previous entry in this blog. Sun damage is the next entry in this blog.